While Viktor Orbán has become one of the loudest advocates of a global anti-immigrant alliance, in Hungary, an increasing number of residence permits are issued to foreigners whose purpose of stay remains unclear. In the past two years, over 9 thousand foreigners received residence permit for “other purposes.” This category can include many different purposes of stay, from language learning to family tree research. Hungary’s Immigration and Asylum Office claims, however, that it does not have any statistical data about why exactly the applicants of such permits wish to reside in Hungary. The number of residence permits issued for other purposes has sharply increased since the Hungarian government suspended its controversial residency bond program. Similar to other countries’ Golden Visa programs, the Hungarian scheme offered residence permit to third country nationals in exchange of money. After the closure of the program, in 2017, around 3700 residence permits for other purposes were issued, while in 2018, over 5000 foreigners got such papers. Participants of the residency bond program had to pay 290-360 thousand euros at the time of their application (this covered the price of the residency bonds and the fee paid for the companies that sold the bonds). On the other hand, to get residence permit for “other purposes,” only an administrative service fee of 60 euros is charged. This type of residence permit, however, does not allow its holder to work in Hungary, and its validity period is a maximum of five years (although after 3 years of stay in Hungary, it is also possible to apply for permanent residence in the country). Similar to residence permits obtained through the residency bond program, the residence permit for other purposes also allows free travel in the territory of Schengen Member States. Those people can get such residence permit whose purpose of residence is “justified,” but it does not fit any other categories specified in the law, the Immigration Office said in response to our questions. Foreigners currently living in Hungary told Direkt36 that, according to their experience, the Immigration Office accepted language learning, working on a startup idea and also family tree research as “other purposes.” Between 2008 and 2012, the Immigration Office issued on average 2200 such residence permits annually. Compared to other countries’ Golden Visa programs, the Hungarian scheme offered very favorable conditions, including the fact that investors would get their money back after 5 years. Until the suspension of the program in 2017, a total of 6583 foreigners invested in residency bonds and received permanent residence permits in Hungary. In the meantime, some foreigners still received residence permits for other purposes without buying residency bonds. Their number constantly increased during the years of the residency bond program (and was always higher than that of residency bond investors). However, the sharpest increase happened after the closure of the residency bond program: in 2017, 3724 and in 2018, 5413 foreigners received residence permit for other purposes. The total number of foreigners obtaining residence permit connected to other purposes might be even higher. Similar to family members of residency bond investors, close family members of the holders of residence permits for other purposes can also apply for Hungarian papers for the purpose of family reunification. On average, the residence permit of one residency bond investor was extended to two family members. In the case of holders of residence permit for other purposes, however, the Immigration Office does not have statistical data about the number of family members that also applied for Hungarian papers. While it was practically an automatic process for residency bond investors to receive Hungarian papers, in the case of those without residency bonds, the Immigration Office decides about each application separately, three immigration lawyers, who asked not to be named because of the political sensitivity of the issue, explained to Direkt36. According to the website of the Immigration office, the regional directorate rules on the application for residence permit for other purposes within 21 days, but the office does not publish further details about its decision-making process. “This is a Jolly Joker opportunity, anything can be behind the other purpose,” one of the lawyers who has been working with foreigners since the 90s, told Direkt36. Among others, the purchase of Hungarian real estate might be behind the so-called other purposes. As Direkt36 reported last year, shortly after 2018’s parliamentary elections, a new Hungarian immigration program based on real estate investments started to be advertised in China and Vietnam. Some businessmen behind the advertisements had also profited earlier from selling residency bonds. 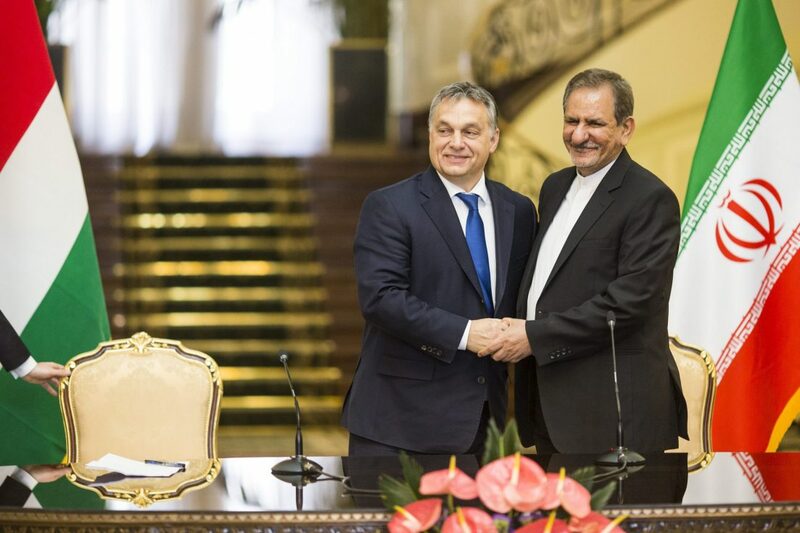 In the new advertisements, companies promised foreigners to get residence permit for other purposes, in exchange of investment in Hungarian real estate and a service fee of €55.000-65.000 euros paid for the advertising company. “In theory, the purchase of real estate can fit into this category,” said the lawyer, who himself did not advertise the immigration program based on real estate investment, but still received “tons of inquiries” about it last year. “We received questions not only from China and Vietnam, but from all regions of the world,” he said. However, when these foreigners learnt that there was no state-supported, real estate-based immigration program, and obtaining a residence permit was not guaranteed, they lost interest in the opportunity.